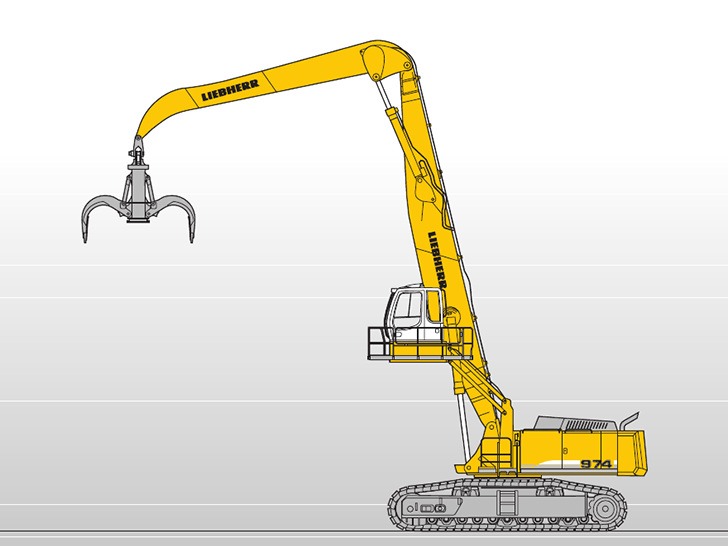 The R 974 C Litronic material handler is a a true giant, thanks to its reach, dynamics and strength. With an operating radius of more than 20 metres at ground level, a 400kW/543-hp engine and the accustomed reliability of a Liebherr earth-moving machine, it has become the flagship of the material handling fleet. Optionally equipped with a scrap, timber or rubble grabber or an electromagnet, the R 974 C Litronic material handler is the perfect machine when power and a long service life are required.